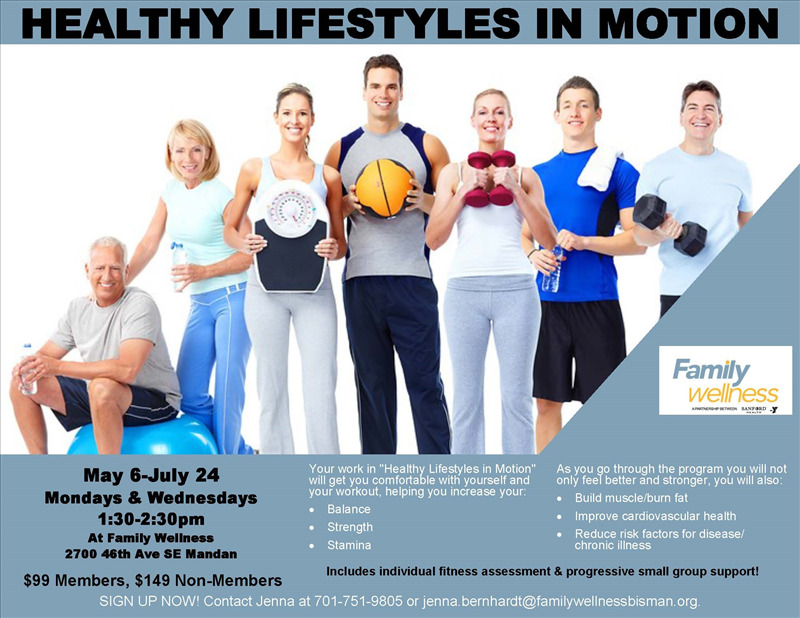 A 12 week wellness program focused on fitness, healthy living and the prevention of chronic disease. Available to adults of all ages. 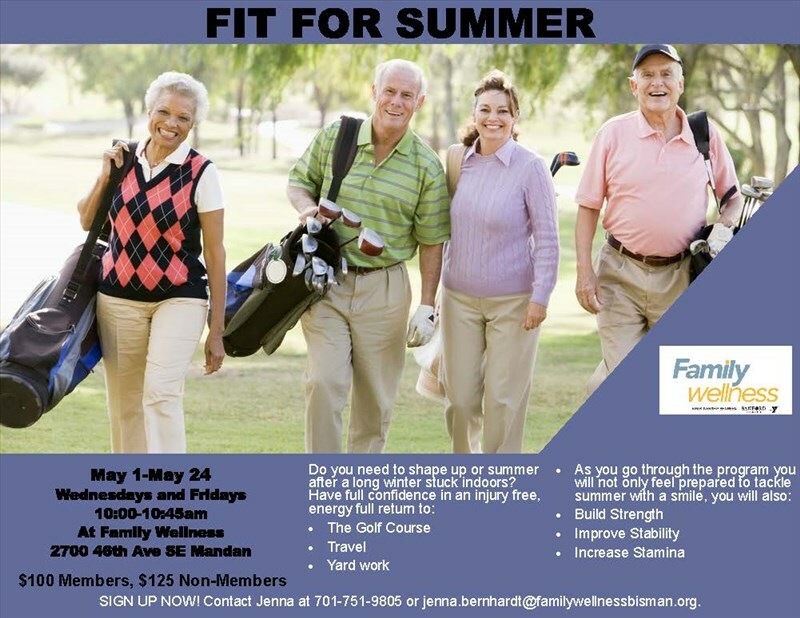 For more information contact Jenna Bernhardt at 701-751-9805 or jenna.bernhardt@familywellnessbisman.org.